Thread: Absolute Newbie Looking For 1st Machine - HELP!! First time using a forum too so my apologies if I get all of this wrong!! My needs are minimal as I will only be making 2, possibly max 3 coffees per day (latte and cappuccino). I don’t really think I should be going over $1000 given the use it will be getting (see below). Ideally around the $700-800 but I am open to the cost if it will give the taste and longevity I want. I was originally going with the Breville Barista Express as it seemed pretty foolproof for a newbie like me and having tried one, I liked how it worked/the way things turned out. Then I started wondering how it compared to the Infuser and even the Duo Temp (because I had been advised to pick up as decent a grinder as possible before worrying about the coffee machine...which got me thinking about the capabilities of the built in Barista grinder. So, my shortlist then changed to those 3 Brevilles, with a separate grinder if needed (I had looked at the Breville Smart Grinder Pro which had some good reviews on YouTube and is currently on sale from $349 down to $199. At the moment, I am erring on the separate grinder, however, I am not sure how good the Infuser or Duo Temp are which brings me here after researching my options further. From a quick look through some of the forums on here the Rancilio Silvia is recommended a lot (is any particular version better than others or should be avoided?) and the Gaggia Classic is another I’ve seen recommended. I am just super confused by the comments that there will be a need for a PID? (I told you I was a newbie). In all of my searches, I’ve heard of a PID but nothing about fitting them myself?? Does anyone have a view on the sort of machine I should look for given it will be getting such little use? Do I need to spend big given I will only make one cup a day? Seattle Coffee Gear (YouTube) also suggested the DeLonghi Magnifica. I understand that is a different beast but is that even worth looking at? Sorry for the long winded post!! For me, you can never make too few coffees per day to not go after quality - that is unless you make no coffees of course. So my advice is to get the best value your budget can get you, which it definitely looks like you’re trying to do. I’m an advocate for having a seperate grinder. The grinder is just as important as the espresso machine and shouldn’t be under estimated. The Breville Smart Grinder Pro is a decent grinder. I have an Iberital Challenger and have had it for almost 10 years. It’s a great grinder for the price. PID - can’t for the life of me remember what it stands for. It’s wanky whatever it is. Basically its job is thermo-stability and in a dual boiler machine (AND SINGLE BOILERS) it does that job well, BUT NOT SO USEFUL IN HX MACHINES. The newer model Silvia’s have it and some older machines have been modded by their owners. Basically its job is thermo-stability and in a dual boiler machine it does that job well. Yes you’re right, what’s the point in drinking it otherwise!!? I’m all about enjoying my cup so even if it’s only one I must have the right machine (& grinder) to make it. I think I was maybe looking for support to go with spending that little bit more even if it is for one or two coffees a day. It seems that moving away from the Brevilles and into dedicated coffee brand equipment you are more likely to get the longevity too which will also make spending more an easier option. I really don’t like the idea of dropping $900 on the Breville only for it to die after 12 months. Maybe an extended warranty might help I suppose. So many decisions! The Barista Express will be fine for your requirements. It does a good job for what it is. If you don’t want it ‘die after 12 months’ then make sure you clean and maintain it properly. While there are definitely some faulty units that are sold most of the appliance machines that have problems are caused because people don’t clean them properly, so this is really key. The Infuser will also be fine. The Infuser paired with a Smart Grinder is essentially the same as a Barista Express, but in 2 separate units rather than a combination. I would forget about the Duo Temp. It’s fine, but the others are better. If you go for a Breville shop around and buy them on sale. Don’t ever pay full price. Don’t count out Sunbeam either. The Sunbeam EM7000 is a great machine that’s as good, if not better than the Brevilles. Again, look after it well and it will look after you and don’t pay full price for it. If you want to look at other non-appliance brand machines I’d probably recommend an entry level Lelit over a Silvia or Gaggia. You can get one for a pretty decent price and they’re excellent machines. They’re a bit more user friendly than either of the other two. inorog, zeezaw and JerseyBean like this. For ease of use the Sunbeams and Brevilles are a good option. Breville Barista Express will make you a decent cup. Smart Grinder Pro will do a much better job of grinding however, so pairing this with a separate machine may improve quality. PID - can’t for the life of me remember what it stands for. It’s wanky whatever it is. Basically its job is thermo-stability and in a dual boiler machine it does that job well. The newer model Silvia’s have it and some older machines have been modded by their owners. PID stands for Proportional Integral Derivative controller. Basically a small process controller than can adjust the amount/when heat is applied to the boiler for thermal efficiency. Ie make the the heat up quicker after you have poured a shot or steamed some milk. They basically do really simple maths to control the output by reading the output (boiler temp/pressure) and making small adjustments to the input (energy in/heating element). The P & I & D components all work slightly differently but combine in an algorithm to give you the best possible heating efficiency. They are handy because they usually let you adjust the temperature set point as well as providing the efficient heating. They are by no means a miracle fix all - very handy if you have your technique down and want to adjust the temperature by a few degrees to get that little bit more out. inorog and JerseyBean like this. Don't buy a combination machine (Barista Express). You will get much better results pairing the Breville Infuser with a separate grinder. I previously owned a Barista Express and ran it with a separate grinder in the period before upgrading to the Breville BES 920, the improvement in the coffee was noticeably better. The BES870 (Barista Express), BES840 (Infuser) and BES810 (Duo Temp) are the same machine internally minus a few small differences. They all use the same thermocoil, pump and over pressure valve (the BES810 does not have a solenoid valve on the group head, this doesn't affect coffee quality). The main differences are in functionality such as programming, separate hot water spout and the addition of a pressure gauge. The grinder in the BES870 is mechanically identical to what you find in the Smart Grinder or Dose Control Pro. The standalone grinders do have smaller step increments and a larger overall grind range so is still preferred to the grinder as found in the BES870 as you get better grind adjustment. The main advantage to having the grinder outside the machine is that if either of them breaks down, when it is away for service you still have the other item to use. If programmable shots aren't a requirement, a Duo Temp with a Smart Grinder will do well. The Duo Temp can be picked up for $299 and the Dose Control Pro for $199 (cheaper second hand, same with the Smart Grinder) so it's a decent price to get you started. PID stands for Proportional Integral Derivative controller. Basically a small process controller than can adjust the amount/when heat is applied to the boiler for thermal efficiency. IMO the main advantage of a PID is avoiding overshoot. This is important in a coffee machine brew boiler because they heat much faster than they cool so an overshoot will stay overshot for a long period (unless a cooling flush is performed). It is debatable whether PID is much use for a steam boiler. Combo machines also introduce more points of failure. There's a risk that a fault with the grinder could stuff up the coffee machine and vice versa. If you want to go up to $1000, look for a good deal on Breville Dynamic Duo. You will see it often listed for around $1500 but deals for around $1000 go up quite often. This will give you the same grinder with a dual boiler machine. Since you enjoy milk based drinks, you will benefit a lot from a dual boiler. You never know, you might end up entertaining a few guests and dual boiler setups work really well for milk based drinks. Agree with Garrus that the Breville Dynamic Duo is your best bet if you’re ok to spend that bit more. Patience and shopping around till you get that $1000 deal is the key. They do pop up at the major electrical retailers. The reply re the PID hurts my brain 😂 Thank you for the information though!!! Hi JB and welcome to coffeesnobs! The easy stuff first - the DeLonghi Magnifica is only worth looking at if you prioritise convenience over coffee quality. It's a super auto and won't be able to make real espresso like a semi auto can (ie a machine with a portafilter you fill with freshly ground coffee). The tricky part of this is that everyone puts different weights on the importance of 1, 2, 3, 4. The good news is that there is more choice than ever before so with some info from the CS community you should be able to find the perfect machine for you. Here's my perspective on the Italian gear. You mention longevity is important so it would be worthwhile looking at the Silvia and Lelit range. We regularly have examples of these in our service department that are 10+ years old for a standard service (seals, clean, test etc). Not bad in terms of total cost of ownership! Coffee quality: I'll just touch on a couple of points you and others have raised rather than trying to write a book! - PID: this will improve brew water temperature stability in a single or dual boiler machine and therefore coffee flavour and consistency will improve. You don't need it to make great coffee but there is an incremental benefit that I think is generally worthwhile considering the extra cost. If the PID is also used for the steam function, the steam is stronger and more consistent. No Silvias have PID built in but you can option it. Lelit have a number of models with PID (41TEMD and 42TEMD to name two). - Grinder - built in (combi) versus standalone: there are benefits of having a combi versus the equivalent stand alone version: you'll save $$, space and it's usually cleaner in terms of coffee grounds on the bench. There is no reduction in coffee quality. Lelit currently has three combis: 42EMI, 42TEMD and the Kate (82T). My view is that if there is a combi that suits your requirements, you're better off going for it versus the equivalent standalone option. P = Proportional : the further the temperature is below the set point the more the controller will turn the heater on. I = Integral, a mathematical term about which you don't need to worry as it's useless on a closed system like a boiler*. *Yes I know the boiler isn't a closed system when pulling a shot but a standard PID will be tuned to operate between shots. For the geeks out there, the "I" input is technically a lossy integrator (eg a low pass filter). In effect it averages the input over a time period determined by the filter constants. Hi Charlie, thank you for the welcome and all of that information. I’ve been investigating the options everyone has given me and on looking at the Lelit I have found Preloved and Ex-Demo machines available which happen to have the PID. As they aren’t new this brings the price down. 2 questions, 1: are these machines (Lelit, Rancilio, Gaggia ie non-appliance brand types, difficult to clean and maintain? I don’t fear the actual making of the coffee. I’m not slow to pick things up and therefore only going to be capable of handling a pod machine if you follow (which has kind of put me off the Magnicifica - although I realise it isn’t pod). and 2: is there a general consensus on buying ex-demo over secondhand or vice verse? I think im going to offend all of the ‘proper’ coffee buffs here when I say I don’t actually like the look of the non-appliance machines, certainly the Lelit and Rancilio anyway as they just look like they should be in a cafe to me. The Gaggia would be okay for my kitchen and I fear I may end up with a Dynamic Duo purely for its looks as long as it can produce the coffee?? Any thoughts on that machine or any others that aren’t as professional looking? Well I have a completely new option...I can pick up the Breville Dual Boiler (the 920) for $650 from the Breville warehouse. It comes with 12 months warranty and is either ex-demo or a store return (possibly a mark on the unit). I have made arrangements to go see it in the morning and I’m thinking that is a pretty good buy. I can pick up the Breville Smart Grinder Pro for $199 from Myer (usually $329). Is that a decent option to go with it or can I do better on the grinder front? Just to be clear that if it is a store return, it’s not a customer return. It was purely being returned by the store for cosmetic reasons. Not a bad deal. Is that the warehouse in Tingalpa? I'd personally grab a Silvia if you can afford it. You could pair it with the smart grinder if you like. I have a smart grinder that I now only use for cold brew, but once used for espresso. It was alright but I noticed a huge improvement when I moved to a Eureka atom. At $199 though, I'd say go for it with the plan to one day upgrade to a much more heavy duty grinder. I would get four years extended warranty with any appliance, for the extra $100 or so, if available. Not sure what Breville offer, HN and other retailers offer it. About the same cost as for a service I guess. Good luck. zeezaw and JerseyBean like this. By all accounts that setup is very capable. I take it there is a warranty from Breville? Check out the huge thread about that machine in this forum, plenty of info on there as it's a popular machine. For comparison, a used Sunbeam dual thermoblock (not boiler) machine from a private seller might cost you around $200 (EM6910 or EM7000 models). Hi Esky, yes it’s the Tingalpa warehouse. They have an Oracle as well if any one is looking 🤷🏻*♀️ I’m a bit scared of the Rancilio/Lelit after researching them 😂 They don’t look quite as easy to maintain. I’m happy with using them to make the coffee but I’m nervous as far as looking after it goes. Any pointers on what that is like because from the YouTube reviews I’m relying on the Italian machines all seem that bit more complicated in that regard. I’m starting to think $650 for a machine that will hold my hand for 12 months even if it dies after that will break me in so to speak. Maybe then I’ll be ready to look at a proper machine and start understanding the ins and outs of a PID (even though the 920 has one - I don’t need to worry about fitting it!) I’m getting all kinds of confused by back flushing etc which the 920 does for you! Any pointers on what that is like because from the YouTube reviews I’m relying on the Italian machines all seem that bit more complicated in that regard. As best I recall the Lelit requires 20 minutes warm up, others more. The appliance machines are generally 2 to 3 minutes, which hasn't been mentioned in this thread so far. I might chip in here for some advice of my own as I'm in a similar situation. I've had a Sunbeam EM6910 for almost 10 years with a couple major services. It has served my wife and I extremely well. Our usage is one or two cups of milk based drinks first thing in the morning and one in the afternoon of we are not at work. The Sunbeam has just died again (constant flashing when heating up) and I'm reluctant to repair it a third time. I'm in two minds about replacing it with a similar product or moving up to something a little better. I'd like a major upgrade but it is difficult to justify much more than $1500 in our current budget. And if going for single boiler, reasonable time to reheat between shot and steam. I've been looking at the Lelit 41/42/Victoria models. How do these perform in terms of the above priorities? And are the appliance brands that will do the same for a better price? 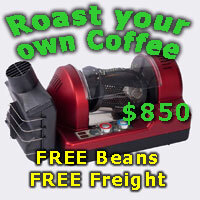 You can definitely save some $$ by buying an ex demo or second hand coffee machine. The main difference between the two is the cosmetic condition since both come fully serviced with warranty. As far as cleaning goes, it's easy and takes five minutes every couple of weeks. Basically just cleaning with detergent then rinsing (called backflushing). It will take you a couple of minutes to learn how! Maintenance is also pretty straightforward and you can do as little or as much as you feel comfortable with because parts are readily available. Aesthetics are a personal thing so go with what looks good to you. You'll generally get a lot of stainless steel with the Italian machines! Can anyone with a Lelit vouch for practical heat up time? That's a big priority for me. Hi Scotty, I didn't reply earlier as many of your questions referred to steaming and I just don't do that. I have a Lelit PL41TEMD. It takes roughly 5 minutes to go from an indicated say 12 degrees up to 92 degrees on the PID. Of course the portafilter takes longer to heat up and if I was in a rush would flush through the portafilter a couple of times or so, each time would require a minute recovery by the boiler which drops to high 60s or early 70s as cold water from the tank is drawn in. So seven or eight minutes if in a rush, but in all honesty I keep mine on a wifi switch for first use and like Warren finds with his Lelit, a 15 to 20 minute notice means everything works well for impromptu coffees. A little surprised by the quoted two to three minutes for appliance machines, I can't believe any portafilter would be warm in that time. Even Decent Espresso users quote longer to warm the portafilter and that is a far more sophisticated thermoblock machine. Some hard figures for you Scotty, apologies for slight inaccuracy above. Just had to make two coffees, from 24 to 92 degrees (some residual warmth from earlier in the day) took 5 minutes 48 seconds. When filling a cup with hot water for the wife's long black it took 52 seconds to recover, then 15 seconds of overshooting and another 30 seconds to get back down to 92 degrees. Hope that helps. Probably worth ringing Charlie from JetBlack, tell him how you have coffee and your requirements, then get his Lelit recommendation. That would narrow down that side of the options. This is spot on. The main difference in quoted heat up times with the Italian machines and the appliances isn't due to the actual heat up times, it's because "heat up time" is being defined differently. If we're talking about the time it takes for a machine to be ready to make great espresso then it's the time it takes for the boiler (or thermoblock), group head and portafilter to heat up. For a Lelit (non E61 models) this is 5 to 10 minutes. And it will be similarly so for the appliances. If we're talking about how long it takes for the "ready" light to come on then it's a couple of minutes! Thank you for the ever generous support here. We have made a hopefully decent compromise with a Breville 920. First run this morning was an impressive step up from the old 6910. May switch over the the dedicated 920 forum with a few initial questions. Would like to bump an old thread by saying you can get the Breville Smart Grinder Pro for $159 at bing lee when the frequent 20% off sales are on. Pretty unbeatable deal for the price. +1. I got em to knock $20 just from walking in and asking what the best they could do was so they are pretty fluid on the price.